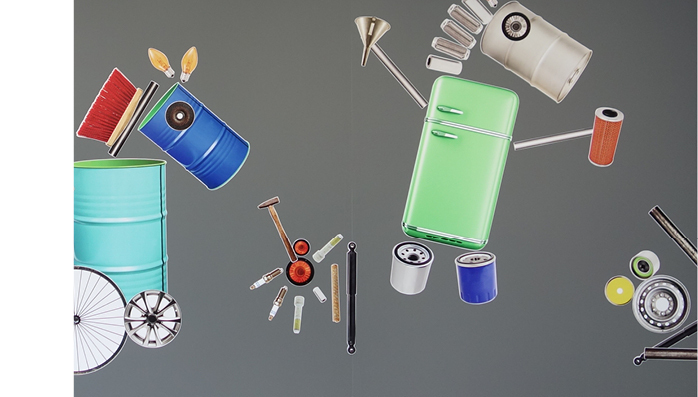 This interactive magnetic wall adds an element of fun and education to the new Shire offices in Kulin WA. 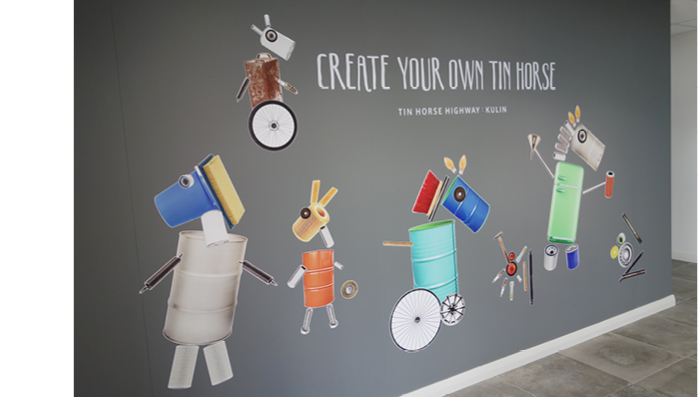 The region is well known for its Annual Bush Races and also for the Tin Horse Hwy that serves as a quirky promotion of the event. 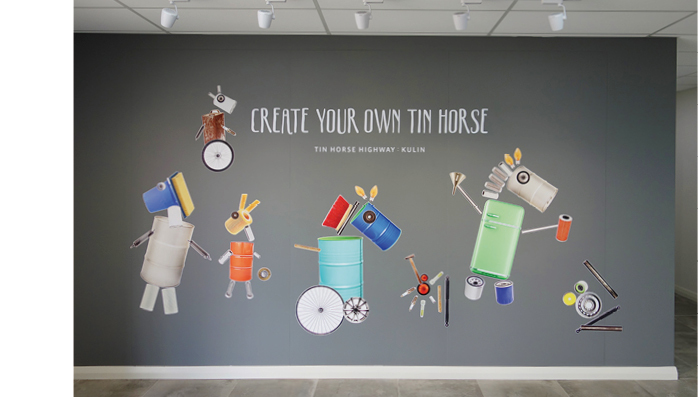 To emphasis the fun and benefits of recycling a magnetic wall was created with magnets of varying sizes for visitors to create their own tin horses.